The Rudaki Mausoleum is located in the village of Panjrud, about 60 km east of the city of Penjikent and is one of the most famous landmarks of Tajikistan. 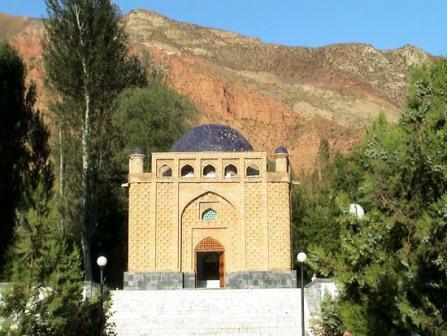 The mausoleum was built for the founder of Persian-Tajik literature - Abu-Abdullo Rudaki, who, according to historical data, lived in the late 9th and early 10th centuries, during the rule of the Samanid dynasty. Rudaki was not only a great poet and writer, but also a talented singer and musician. The ancestor of classical Tajik poetry wrote his famous works in the Dari language using the Arabic alphabet. The mausoleum of the great poet was built in 1958. In 1940, two famous archaeologists conducted a scientific and historical research and established the exact location of the burial of the great poet. After 15 years, with the participation of the anthropologist Mikhail Gerasimov, the remains were found. It was possible to make an accurate identification of them and the objects in the burial site, which confirmed that Rudaki was buried here. On October 17, 1958, the grand opening of the mausoleum took place at the place where the remains of the great poet were discovered. In 2008, the mausoleum was reconstructed, with the result that its external and internal appearance has changed dramatically. 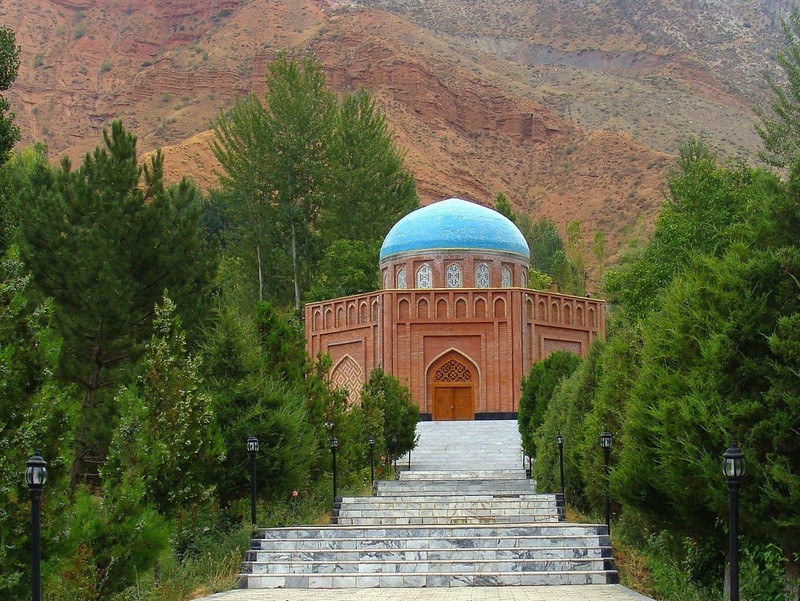 The building of the mausoleum was built of red brick, the dome is decorated with blue tiles, which corresponded to the architecture of ancient Central Asian structures. The entrance has a brick arch with massive wooden gates. A marble sarcophagus is installed in the center of the mausoleum. The outstanding poet, who made a great contribution not only to Tajik poetry, but also throughout Eastern culture, spent the last days of his life in poverty and died in 941. Today, Rudaki's sculpture is one of the main decorations of the city of Dushanbe.